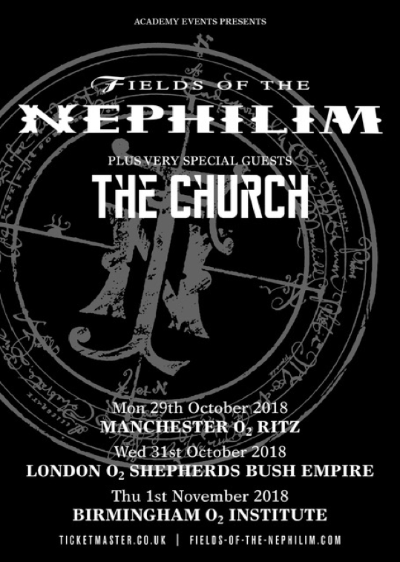 Fields Of The Nephilim announce three Samhain UK shows! Goth rock legends Fields Of The Nephilim have revealed they will be playing three special UK shows in celebration of Samhain and the 30th anniversary of their highly regarded single Moonchild! Joining the band on the shows will be Australian psych-rockers The Church!